Your credit score is incredibly important when it comes to big financial decisions (and small ones!) – and Credit Sesame is a company that can help with understanding and improving your credit score. In our Credit Sesame review, we will help you to figure out if it is a service worth using, and any additional questions that you may have. Are the Credit Scores Really Free? Is Credit Sesame Accurate and Reliable? Is Credit Sesame Right For Me? Will Using Credit Sesame Impact My Credit Score? How Does Credit Sesame Gather Their Information? How Do You Contact Credit Sesame? 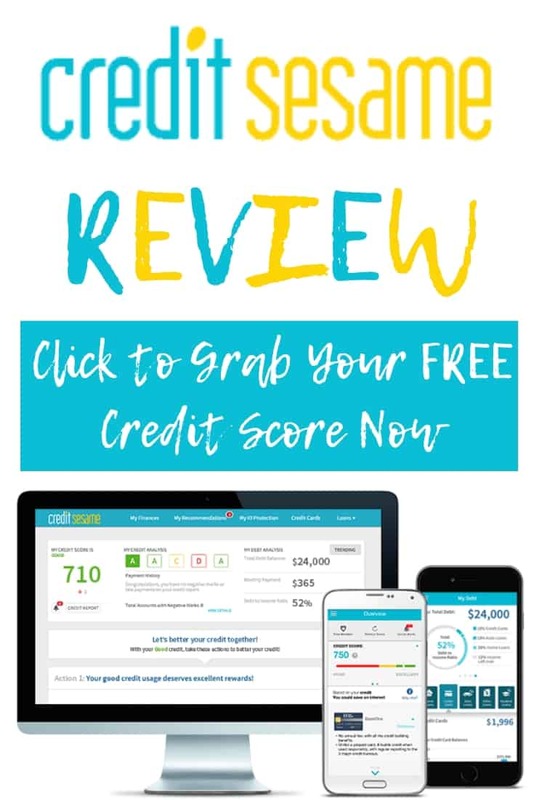 Credit Sesame is a credit report site – bear with me here, as I know that credit scores can scream ‘scam’ – especially when you do a bit of Googling, but rest assured, Credit Sesame is the real deal. It is a company that offers a free credit score report. Not sure what a credit score is? A credit score is a numerical score that is given to you when your finances are assessed. It will look back at your credit history, and the score that you are given will show your creditworthiness. The higher your score, the better. When you are taking out credit, your lenders will look at your credit score to decide whether or not to lend to you. You can sign up for FREE and grab your credit score now. Credit Sesame was launched in 2010 by founder Adrian A. Nazari. Their mission is “to empower people to take charge of their credit and loans and achieve their financial goals”. They do this by providing information on credit and give advice. They are mainly known for providing you with your credit score, for free. They collect their information from TransUnion, who use the Vantage Score 3.0 scoring model to determine your credit score – which in this case, is known as a FAKO score. This is important to note because if you are doing something like applying for the mortgage, the lender will use what is known as a FICO score – not a FAKO score. If you want your FICO score, you can get it from myFiCO.com – but it’ll cost you $60. However, just to confuse things, you don’t just have one FICO score, but about 60 of them. And you won’t know which one the specific lender in question will pull. So you won’t know which credit score your lender will pull, but it’s bound to be close to the one that you can get via Credit Sesame – and this way, it will be for free. Sign up Click Herehere to get started with setting up your account with Credit Sesame. You will need to provide your email address, name, address, birth date, and your social security number. When you have filled in your information, you will need to answer some questions to help confirm your identity. Please note that you will need to make sure that the information that you provide is the same as the information that TransUnion holds for you, as otherwise, it won’t work correctly. Once you’re all signed up, you can also download the Credit Sesame app which is convenient if you want to check it when you’re on the go. 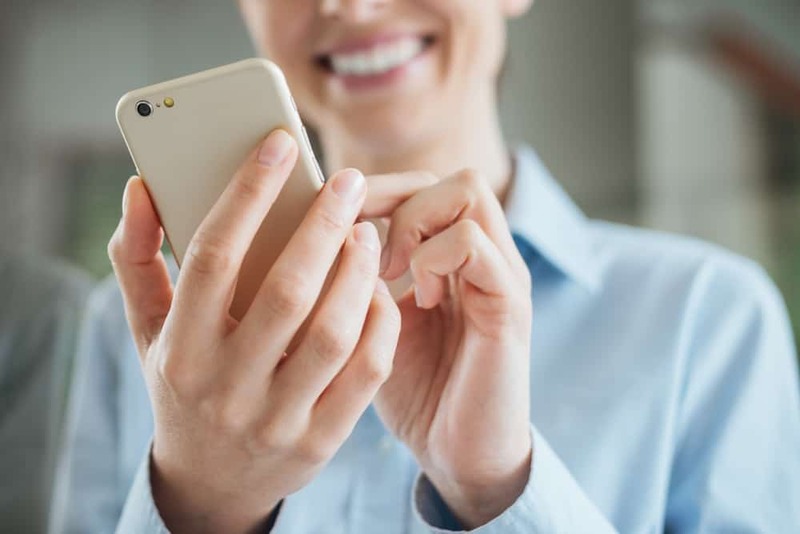 You can set a 4-digit code on the app to protect it – if anyone gets your phone and gets into it, they won’t be able to access your financial information via the app. Apps are great for managing your money, especially when you are always on your phone. As with pretty much anything, there are pros and cons. It’s up to you to decide if it is worth it or not – but we can help you out with doing some digging on Credit Sesame. Credit Karma is another credit score site, which is also free to use. There are good things about both, but we won’t go into this in depth here, because we are focusing on Credit Sesame. Credit Sesame gets your credit score information from TransUnion, whereas Credit Karma will show you information from TransUnion and in addition Equifax, which is an obvious plus. If you have debt, the great thing about Credit Sesame is that it shows an overview of your debt on your dashboard – whether that be your student loan or mortgage etc. This isn’t shown on Credit Karma but not as detailed. They are both free sites that you can use, so really, it’s worth signing up to them and getting your score from both. As both have different benefits and information, you can compare the 2 and get everything that you need. Credit Sesame uses encryption and firewalls to protect all of their members account information. They use the safe encryption software that banks use, so they are as safe as banks – obviously, nothing can be declared impossible to hack – but it has top security. They are rated A+ on BBB, which is the Better Business Bureau’s top rating, and you are able to see any reviews left by users. When you sign up, you don’t have to provide your full social security number – just the last 4 digits. This is a nice touch for helping you feel more secure when using it. Yes, the credit scores really are free. Credit Sesame says that the credit scores from Transunion that they provide will always be free, and the credit monitoring service. They do have premium subscriptions options which will cost you, but these are optional. It’s easy enough to log in to Credit Sesame, with the Credit Sesame login page being at the top right-hand corner of the site, with a yellow button that says ‘Sign Up’. Unfortunately, the credit score checking companies won’t be able to ever give you the exact same score that your potential lenders will – because they keep all of that hush-hush, so no one actually knows what they are looking at. That being said, Credit Sesame will be able to give you a good overall picture of your credit score – it’s just worth noting that the score that is given may not be the same as what you get on other reports or the one that your lender will be looking at. If you care about your money, yes. Everyone needs to check their credit score, and it is really useful having a service that you can not only check it on, but that will send you alerts if there is a change. That means it’s good for you if you are someone who is interested in improving their finances but may not have enough time to check on your credit score regularly, as the alerts that you get through will help you to stay on top of it. Managing your money is something that needs to be done, but doesn’t need to be a chore. When it comes to credit checks, this is something that you should always be asking, because just looking at credit options can cause the companies to do credit checks on you, which will show up on your credit score. Credit checks are not a good thing, because if a lender has looked at your credit report and is faced with a lot of credit checks, they will know that you have been applying for a lot of credit and that you could have been rejected for credit. With that being said, using Credit Sesame won’t affect your credit score. They do what is known as a ‘soft check’ which means that it will not show up on your credit report. Perfect! Every month, Credit Sesame automatically gets the credit information from its members from TransUnion, which includes your credit score and debts. Credit Sesame makes money from the premium package that they offer, which is where you sign up for a more detailed plan. They also make money from the financial services that they recommend through referral links and partnerships. If you want to get hold of Credit Sesame, there are a few ways which you can do so, depending on your query. They have a support center with sections that will help you guide you through the best section for your answer. The Credit Sesame phone number is a little harder to get hold of, but after a bit of searching, we found it: (800) 422-8579. Checking your credit score is something that you should definitely be doing. I was talking about this with a friend the other day, and they said they didn’t feel that they needed to check it because they knew that their credit score would be good. The thing is, your credit score may be good – until something happens that you don’t know about. Unfortunately, identity theft happens – and it will show on your credit report. If you aren’t checking this, you could have identity theft that you don’t even know about on your account. Not only that, but you will also be able to spot any accidental errors on your report which could be affecting your credit score. If you are planning on taking out any type of credit at some point, you need to make sure that you have a decent credit score. That doesn’t mean taking out a payday loan or something similar, but if you are going to be buying a house, a car, getting your loans refinanced as examples, your credit score is important. Using your credit score via Credit Sesame will show you how good your credit score is, and areas in which you can improve. You can also see your debt laid out across the dashboard. Being alerted to any changes or errors can help you to be aware of any fraud or mistakes that have been made quickly so that you can get them changed much faster than if you were unaware of them, or rarely checked your credit report. Use it to monitor your score, have peace of mind knowing that you will be alerted to any problems even if you don’t keep a close eye on it, and use it for the free identity theft insurance – it’s free don’t forget. For a free service, we think that Credit Sesame is a great site to monitor and understand your credit score better. Click here to grab your free credit score today!